I was deeply saddened by the loss of Sylvia Downs who passed away in Exeter this July. Sylvia grew up with a determination to contribute and make a difference, and psychology found her rather than the other way around. As she said, she had good role models and she knew many strong women contributing outside the home as well as within it. This encouraged her to make her mark in both spheres. Sylvia was able to relate well with everyone. Her education during the war was patchy attending four different grammar schools. She never felt integrated at school but said that later in life this helped her to work in different environments and with different people. She had a one-year commercial course at Reading University and she joined the Wrens as a radio mechanic. After the war she studied psychology with maths as a subsidiary at University College London. Her first job was as a research assistant at the Institute of Child Health. After one year of marriage her elder son, Simon was born and she devoted the next seven years to family life bringing up her two sons and daughter. She then began her 23 years of work with the Industrial Training Research Unit at Cambridge. Followed by her work with the Manpower Services Commission on youth training, unemployed people and older workers. Sylvia was a partner of Pearn Kandola Downs for three years before working as a consultant with companies including ICI, Shell, SKB and Glaxo. Over an eight-year period ICI sent Sylvia to South Africa to help with the selection and learning of black people. She encouraged a different mind-set and support for equality of opportunity. Sylvia continued her professional life into her seventies and beyond. At aged 60 she began her professional work in South Africa, New Zealand and Australia. She made over 36 trips to South Africa since May 1989. She continued to be active outside of the profession with various volunteer roles supporting the less fortunate in society. Over the years Sylvia retained her academic and industrial links, including Visiting Professor at City University Business School, Visiting Professor at Queen’s University Belfast and at the Open College of New Zealand Wellington, and as a Visiting Fellow at the University of Exeter. 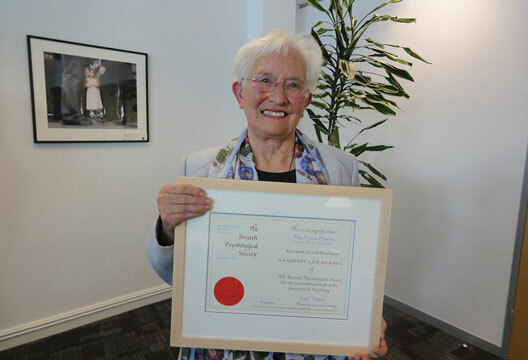 In November 2012 Sylvia received a Lifetime Achievement Award from the BPS recognising her outstanding contribution to the profession. She was dedicated and energetic throughout her life and is a role model and inspiration for psychology. She will be greatly missed.